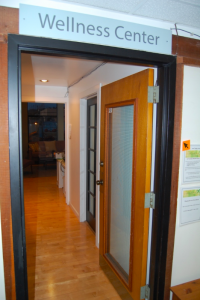 Luna Sparks Acupuncture is housed within Yoga Kula on the 2nd floor. Free 2-hour parking is available on neighboring streets. Please do not park in the parking lot connected with Yoga Kula. The 2nd floor is accessible via elevator from a door on the south-west side of the building (via the parking lot). On the 2nd Floor you will see a long hallway. Walk down the hallway and you’ll see a door with a glass window that says “Wellness Center” above it. Please have a seat in the hall outside the Wellness Center and John will come get you at your appointment time.